(Bloomberg December 5, 2018) -- China swung into action to start delivering on the trade commitments that led to its weekend truce with the U.S., even as uncertainty over what was agreed lingers. Beijing will start to quickly implement specific items where there’s consensus with the U.S. and will push forward on trade negotiations within the 90-day "timetable and road map," the Ministry of Commerce said in a statement on Wednesday morning in China. Hours later, Bloomberg News reported that officials have begun preparing to restart imports of U.S. soybeans and liquefied natural gas -- the first sign confirming the claims of President Donald Trump and the White House that China had agreed to start buying some U.S. products "immediately." In the afternoon, a Ministry of Foreign Affairs spokesman said China hopes to speed up talks and is devoted to finding a solution to settle issues. Global markets cheered the weekend accord on Monday, only to reverse course Tuesday as doubts emerged over exactly what the world’s two largest economies had agreed on. While Asian and European equities dropped Wednesday in the wake of the biggest slide in stocks on Wall Street since the mid-October downdraft, U.S. futures advanced after the statement from China echoed Trump’s optimism over bilateral trade talks. The Ministry of Commerce statement described the meeting with the U.S. as “very successful” and said China is “confident” of implementing the results agreed upon at the talks, but didn’t provide any further details on the outcome. It was the first official confirmation from China that there’s a 90-day window for the talks. China and the U.S. announced a truce in their trade war after the meeting between Trump and Xi Jinping on Saturday, but that quickly descended into confusion, with both sides announcing different statements on what was agreed. There’s also been confusion just on the U.S. side, with the White House, Trump and his advisers making conflicting statements as to the details of a deal. The White House statement listed what it claimed China had promised to do. The most detailed explanation of what the Chinese say they agreed to came from Foreign Minister Wang Yi on Saturday in Argentina. He told reporters that China had said it was willing to "expand imports according to the needs of its domestic market and people, including importing marketable products from the US to gradually ease the trade imbalances," adding that both sides had agreed to open their markets to each other. Chinese officials have been told to take necessary steps for the soybeans and liquefied natural gas purchases, according to two officials with knowledge of the discussions. 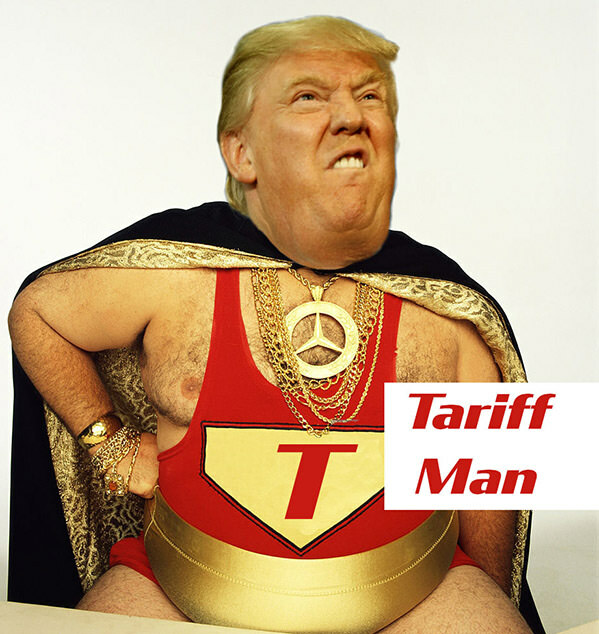 It wasn’t clear whether the preparations meant China would cut the retaliatory tariffs it imposed on those products, or when the purchases would happen. Chinese purchases of the goods collapsed after Beijing imposed tariffs on them in retaliation for U.S. import taxes. China also announced an array of punishments that could restrict companies’ access to borrowing and state-funding support over intellectual-property theft. It set out a total of 38 different punishments to be applied to IP violations, starting this month. The document, dated Nov. 21, was released Tuesday by the National Development and Reform Commission and signed by various government bodies, including the central bank and supreme court. 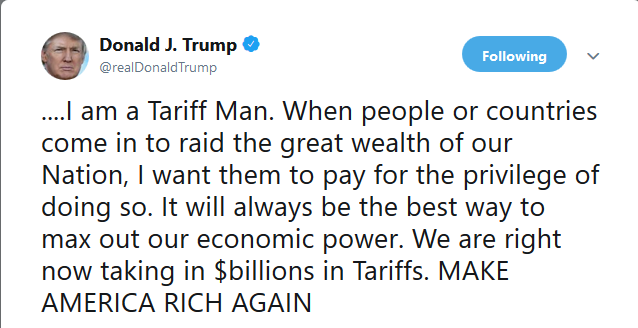 Trump, who on Tuesday described himself as "Tariff Man," continues to ratchet up pressure on China, saying there will be a "REAL DEAL with China, or no deal at all." Destined for War: Can America and China Escape Thucydides’ Trap?